The AHS Patio Project is a opportunity to tangibly contribute and improve our AHS campus. We have roughly 1100 students in each lunch period, which is a difficult number of students to serve and fit into the cafeteria. The outside patio is used to help serve the overflow of students. However there is limited seating and this project will provide students additional space to sit, eat, study and enjoy our beautiful campus during lunch or as an outdoor classroom during the day. Our community is being given the opportunity to donate a “Legacy Table” to the AHS patio area. The Legacy Table will also include a metal plaque with their family’s name (club or business), the year and project title permanently affixed to the table. The cost is $400 per table. The Legacy Tables are made with pressure treated wood in an octagon style than seats 8 students. We already have two tables donated by AHS teacher Jason Burton the AHS Foundation. We are looking for 12 families, businesses or clubs to sponsor 12 Legacy Tables as our first phase in improving the AHS outdoor area. 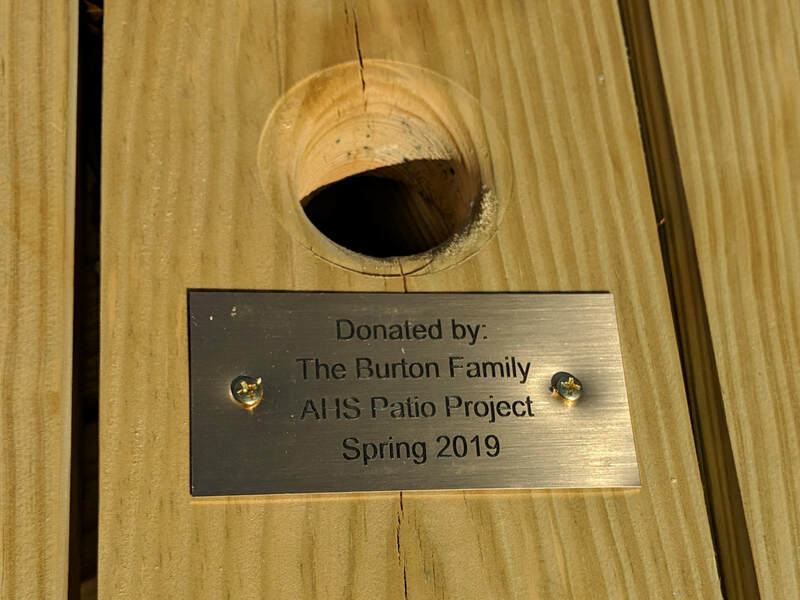 If you are interested please click on the link below to donate and contact Jason Burton by emailing burtonj@fultonschools.org to provide the information for the plaque. Direct donations to the AHS Foundation are gladly accepted and are tax deductible. 100% of the funds raised will be used to support Alpharetta High School through the efforts of the AHS Foundation. PLEASE PROVIDE YOUR EMAIL ADDRESS WHEN DONATING SO YOU MAY CONTACT YOU ABOUT PLAQUE INSCRIPTION. Safe and secure checkout with Authorize.net, one of the most trusted names in the online payment industry.